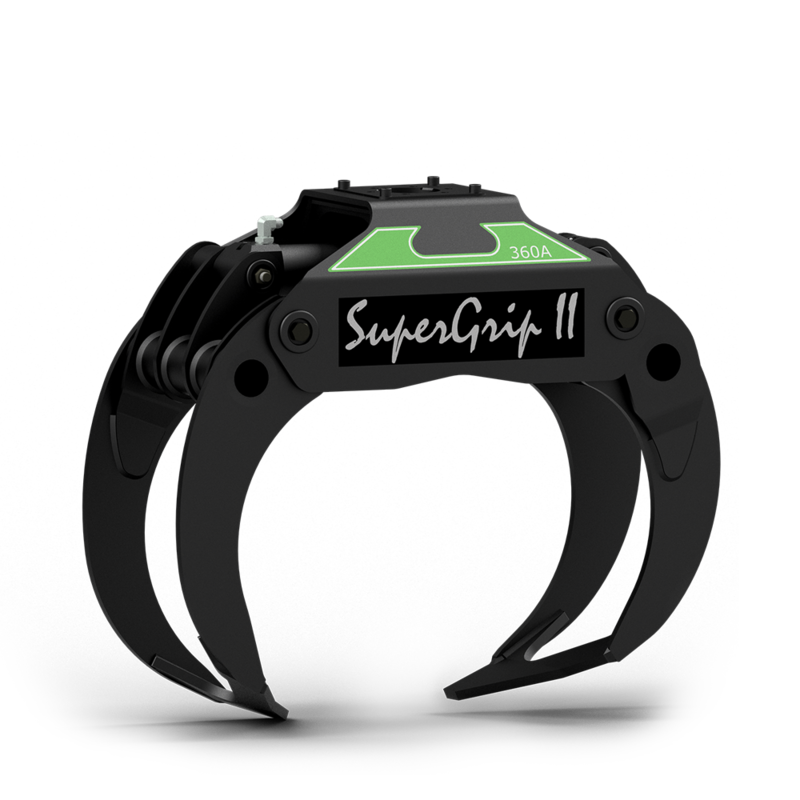 Hultdins SuperGrip is the best selling professional timber grapple in the world. No matter if it is on a forwarder, self loader or excavator, in desert heat or freezing cold, on a sunny day or in pouring rain. Every hour of the day, every day of the year, tens of thousands of Hultdins grapples are handling various logs in all corners of the globe. This is not a mere coincidence. Hultdins has developed and produced forestry grapples for almost 50 years. Big efforts are put in trying to offer the best products for our customers at a reasonable cost. We know that in the end it is only when our customer reaches a higher productivity and product lifetime than someone who is working with another grapple, that we can feel safe. Whether it be loading hardwood with a Bell Logger, fitting a new grapple to your Forwarder, or expanding the capabilities of excavators in firewood and vegetation management – Hultdins has the answer.  Forest Centre is the exclusive Australian dealer for Hultdins log grapples and grapple saw units. 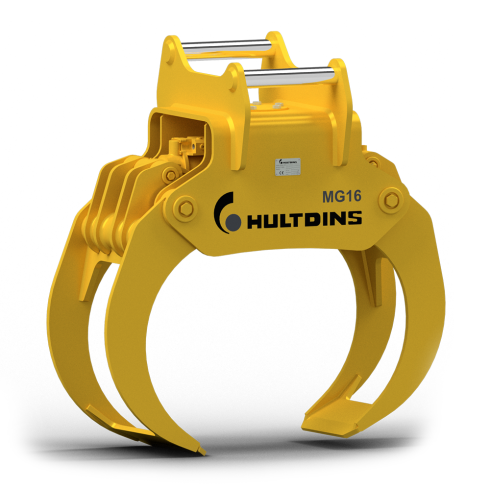 We can assist not only with new attachment solutions, but also minimise down time during maintenance of your existing Hultdins-equipped machinery by providing maximum spare parts availability. Vosch rotating grapples for all types of timber handling. 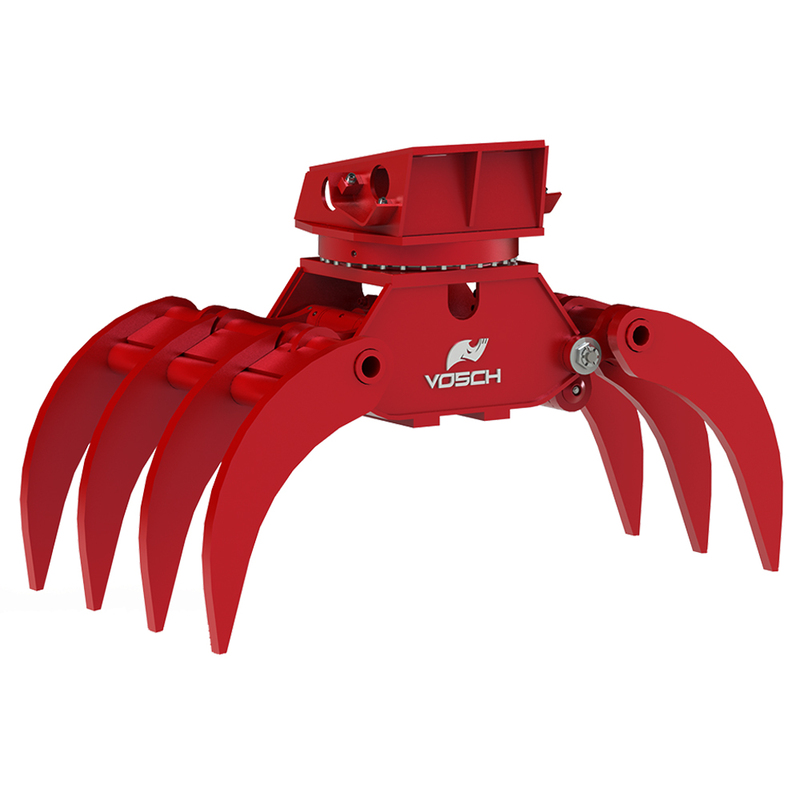 Vosch grapples can be found saving operators time and money in a wide range of wood and waste handling tasks. 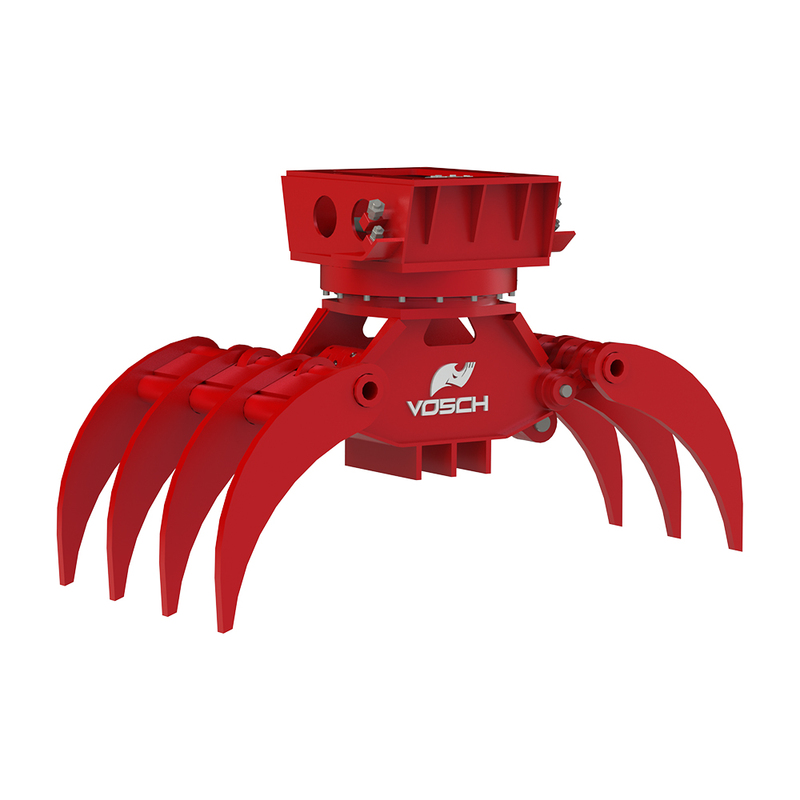 Equipped with a robust upper frame and high torque rigid mounted continuous rotation turntable, Vosch grapples are built to endure tough working environments when mounted on excavators. Different models are available to suit machines from 4 to 30 ton. The 7 finger power rake style jaws penetrate a pile of logs or bundle of brush with ease, leaving dirt and rocks behind on the ground. 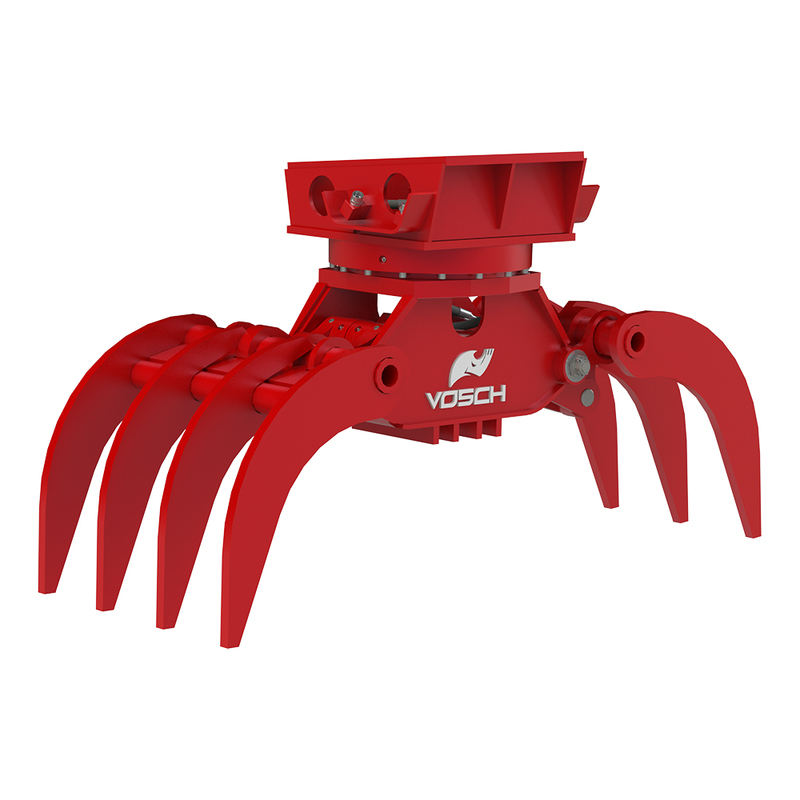 This makes for a productive attachment solution in clearing, clean-up operations or feeding chippers and grinders. 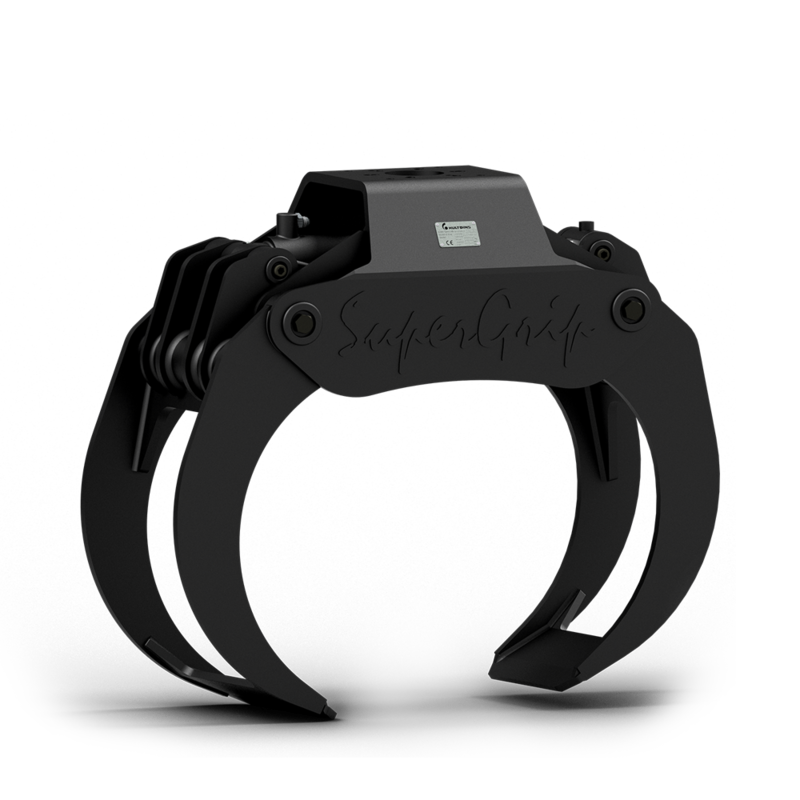 Need a smaller, lighter grapple – or something super heavy duty? 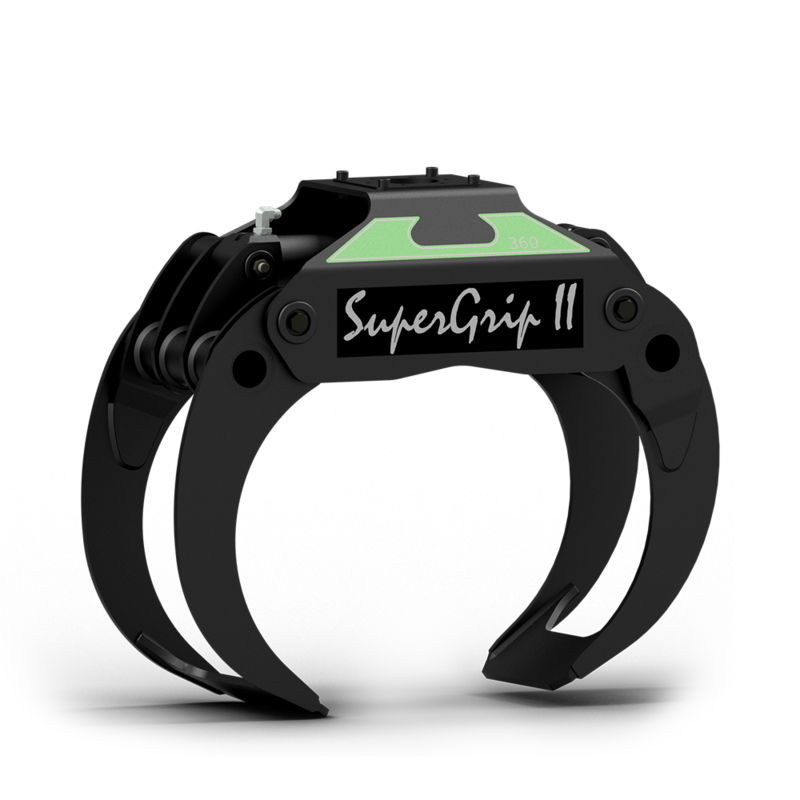 Special models and factory customisation are also available to ensure you get the right tool for the job. An optional hydraulic saw unit can also be added to transform the sorting grapple into a heavy duty grapple saw or felling head. 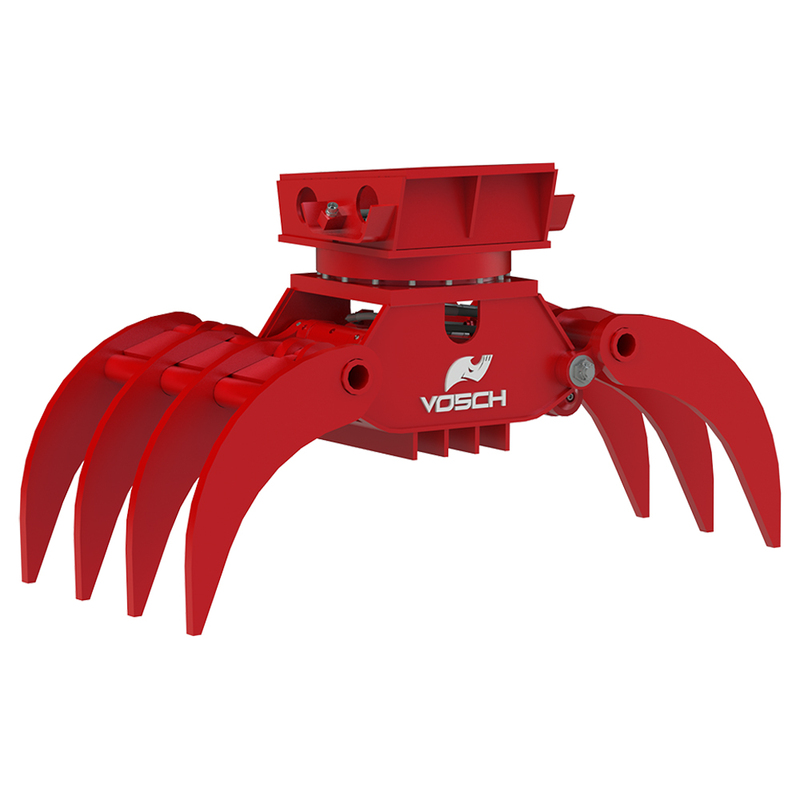 Click here for more information, photos, videos and specifications on the Vosch grapple saws.